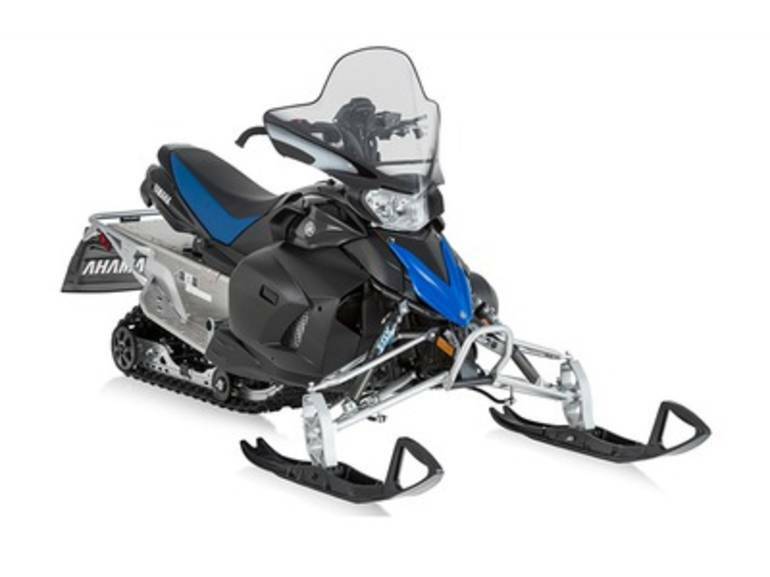 2016 Yamaha Phazer R-TX, CALL FOR BEST DEAL!!!! 2016 Yamaha Phazer R-TX Rediscover the thrill of your first snowmobile ride. Features may include: Genesis 499cc Sport Performance Engine A clear leader in its class, the lightweight and dependable sport performance Genesis twin was designed specifically to deliver a quick revving and torque laden power band. An advanced fuel injection system ensures consistent and efficient performance, while a counterbalanced crankshaft results in a smooth and super-crisp throttle response. FOX FLOAT 2 Front Shocks FOX FLOAT 2 air shocks feature an infinitely adjustable, no tool required, air spring. By changing the air pressure in the main chamber with the included pump, the FLOAT® is the most progressive, adjustable, and lightweight air shock available. HPG Compression Adjustable Rear Shock A 40mm, High Pressure Gas (HPG) aluminum bodied rear shock features a remote reservoir for increased oil capacity and reduced fading. A compression clicker adjuster allows riders to tune to conditions and riding preferences. Lightweight YZ Style Seat Inspired from our family of motocross bikes, the lightweight seat is taller and narrower than a traditional snowmobile seat, providing greatly enhanced ergonomics for an active riding experience. Tuner Skis Developed exclusively by Yamaha engineers, the Tuner Ski incorporates a dual keel design that can be calibrated through various runners and carbide lengths for rider preference. The Tuner Ski dramatically reduces darting and steering effort while retaining predictable and sharp handling characteristics. Dual Shock CK Rear Suspension The conventional designed Dual Shock CK rear suspension is unique to the Phazer in several ways. First the suspension is built upon a narrowed, 14-inch track design for ergonomics and nimble handling; the suspension also incorporates oversized rear carrier wheels to improve efficiency and reduce friction. A premium HPG clicker shock handles damping duties for the terrain capable Phazer R-TX. 1-Inch RipSaw Track The popular RipSaw pattern track is narrowed to just 14-inches for ergonomics and handling, while 1-inch lugs provide the ideal balance of traction for the sport-performance Phazer R-TX. All Yamaha pictures are kind of Yamaha HD motorcycles picture was taken, including motor fuel gauge, engine, engine mounts, tires, fuel tank, the car handles, lights and so on, 2016 Yamaha Phazer R-TX full-screen viewing,2016 Yamaha Motorcycles today Price: $8,999 .